when polio struck her down. and threw herself into sports. 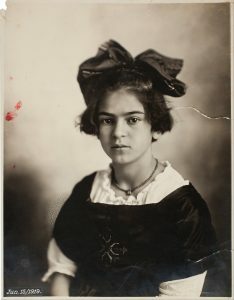 of young Frida’s quick mind. that fractured her to pieces. her life goals burned to ash. patient trapped in body casts. to ambulate for near a year. that mirrored her pained life. of her own body and mind. old painter & new painter. 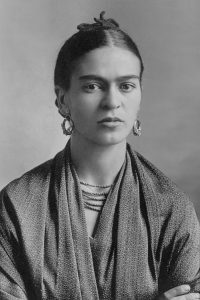 & Frida was often tested. 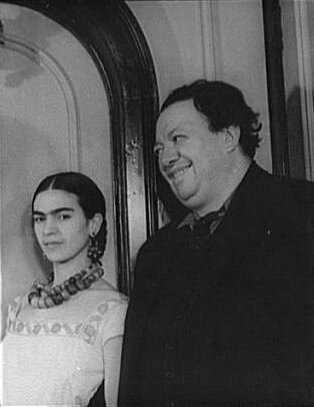 made Frida crop her hair. strokes of color and humor. Mexico, the US and Europe. felt her loneliness and pain. pieces as the end closed in. to show plenty of backbone. Dr. Michael J. Leach is employed as a Data and Quality Specialist at the Loddon Mallee Integrated Cancer Service, which is located in a hospital setting. He is also a published epidemiologist, writer, poet and visual artist with a background in pharmacy and a keen interest in history. In terms of rehabilitation research, his work on quality of life at seven years post-stroke has been published in the Journal of Neurology, Neurosurgery & Psychiatry. Michael’s poetry is published or forthcoming in the Medical Journal of Australia, Medical Humanities, The Galway Review, A New Ulster, The Haiku Journal, Pulse – Voices from the Heart of Medicine, and Survive & Thrive: A Journal for Medical Humanities and Narrative as Medicine. Michael writes poetry to convey the poignancy and beauty that he perceives in life, be it in the present day or in the pages of history. His health-related poems arise out of an inclination to reflect on patient journeys and empathise with patients. Michael currently lives in his birthplace of Bendigo, Australia.